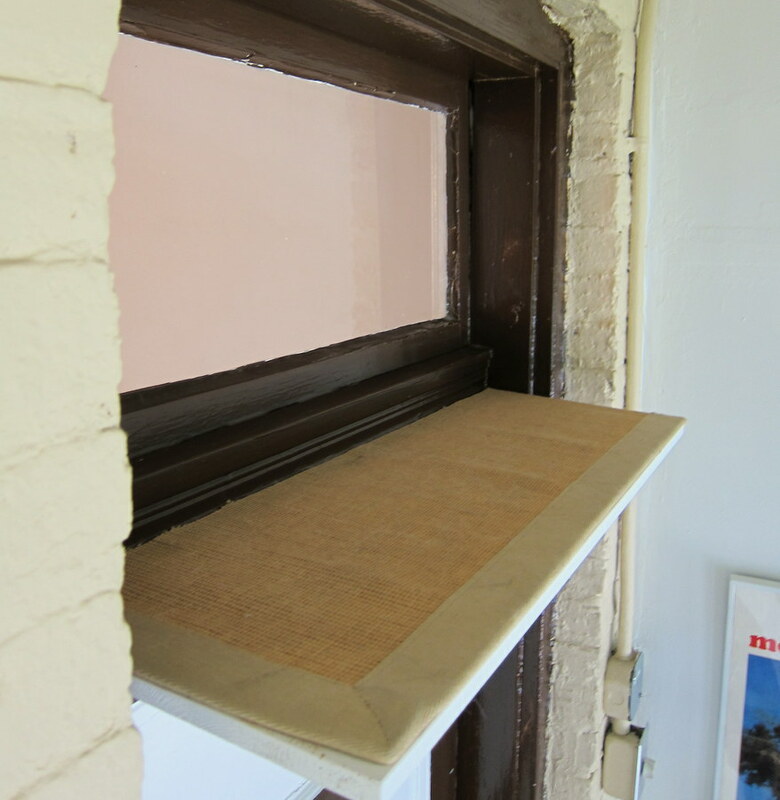 Enclosed back porches are pretty standard on Chicago apartments. 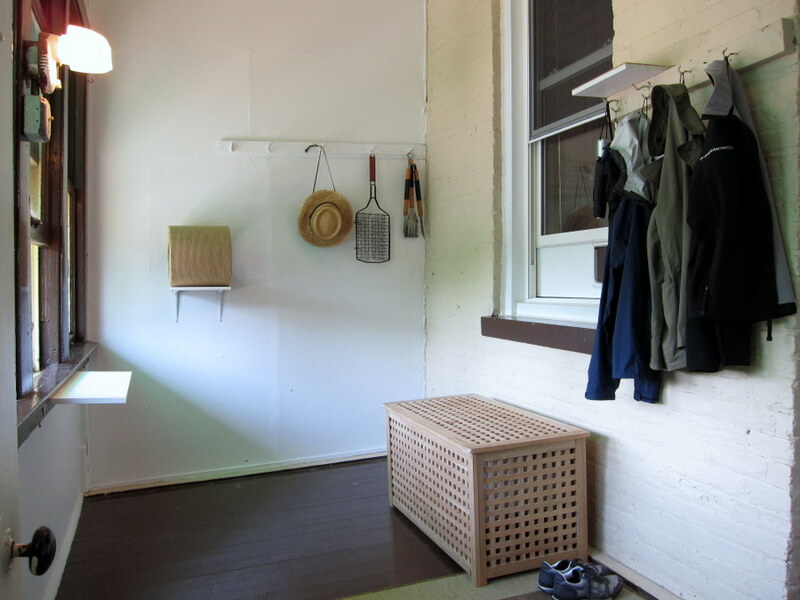 They’re handy for storage and it’s nice that you don’t have to go outside to get down to the basement laundry room, but they can also be shoddily constructed heat traps. 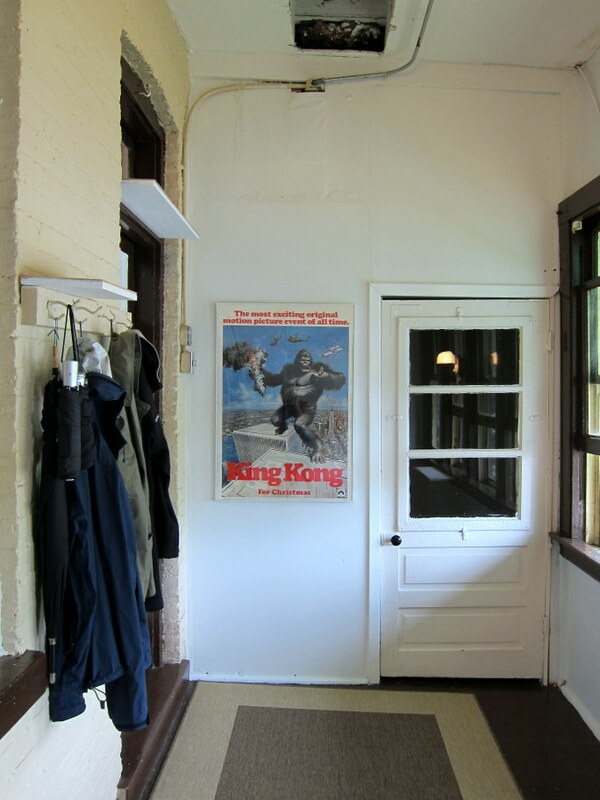 Ours slopes down dramatically and is painted a gross fleshy color our landlords must have thought was a nice neutral. 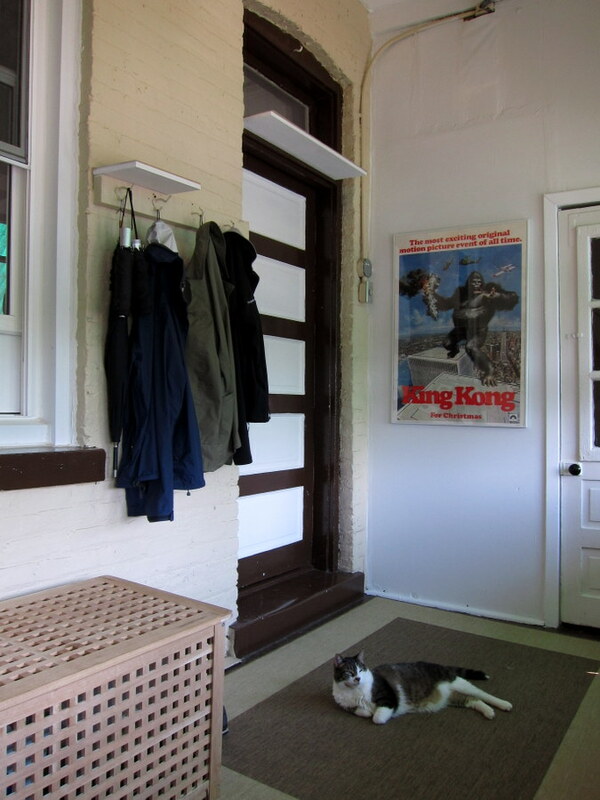 We use the back porch as an entryway and, most importantly, a cat cave. 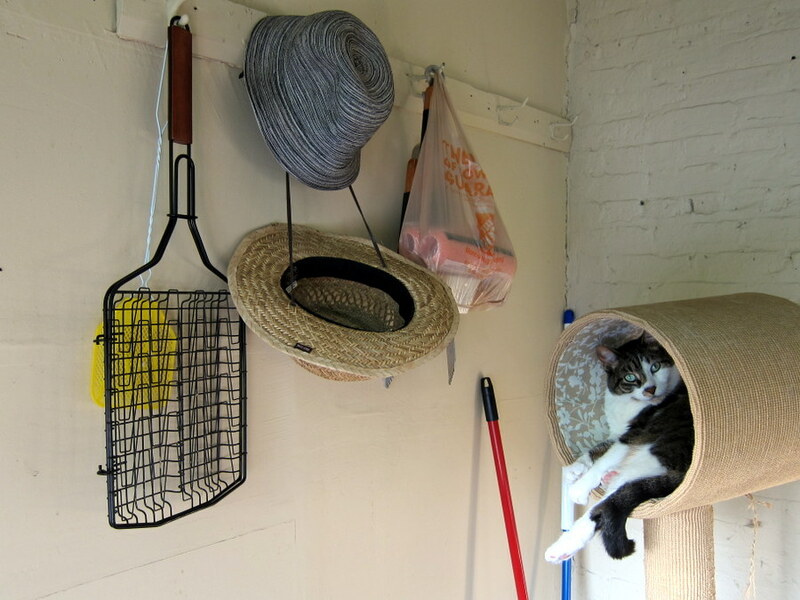 Our two cats, Lola & Doozy, spend most of their day out there, chattering at birds in the backyard and shedding fur – so much fur – in the summer heat. 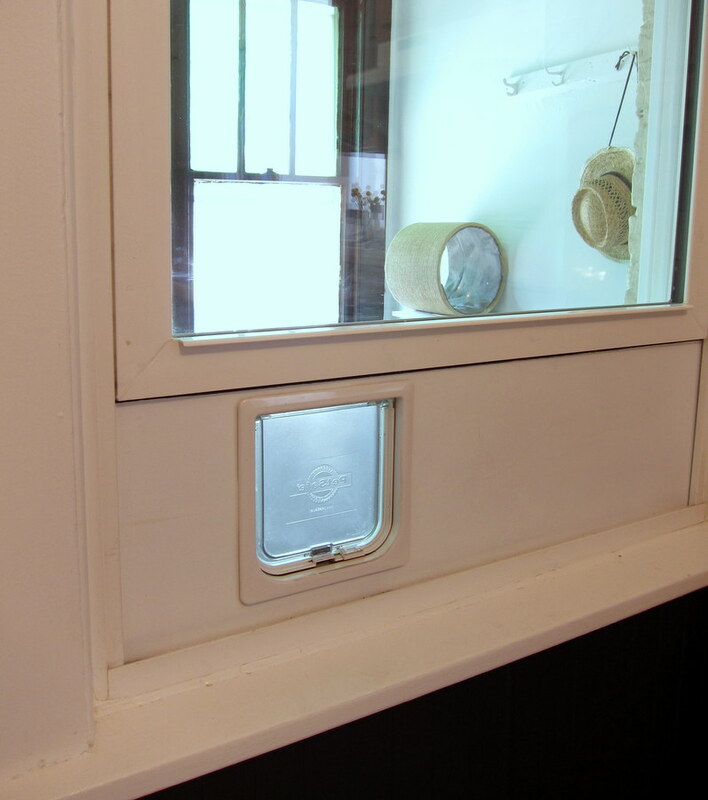 When the back door is shut, the cats enter and leave through the cat door in the window (you can see details of the catio portal here). 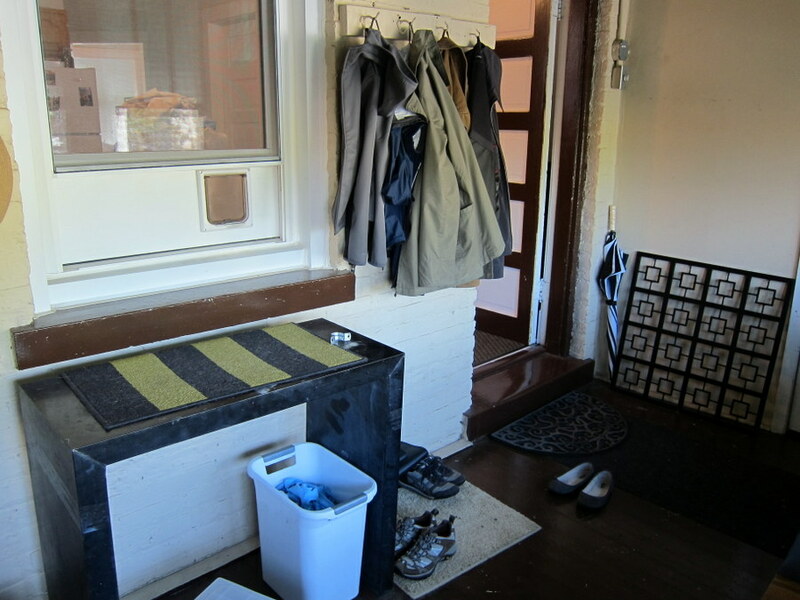 We have an abundance of storage elsewhere in the apartment (a luxury, I know), so my only goal was to make the porch as un-gross as possible, with as little stuff on the ground as possible so that it will be easier to sweep. 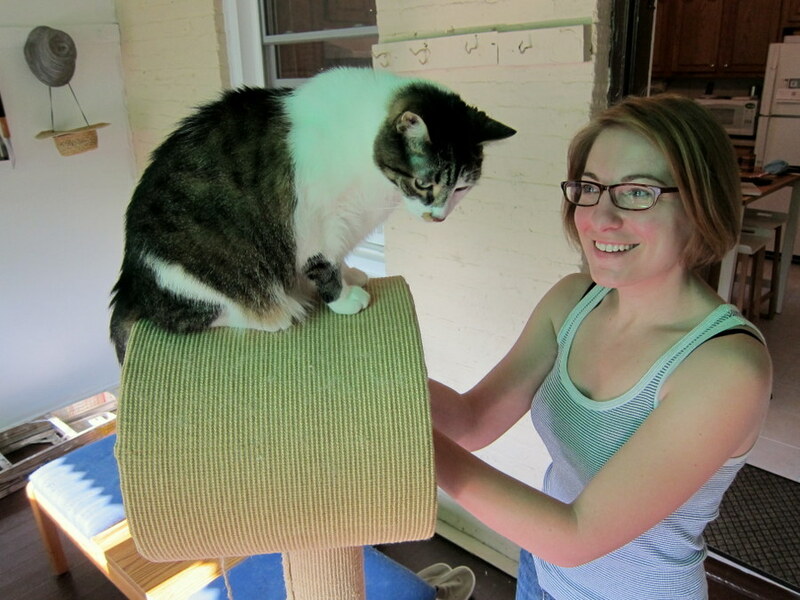 Also, it’s to our benefit to make it cat-friendly because it means less time they’re inside yowling at us. 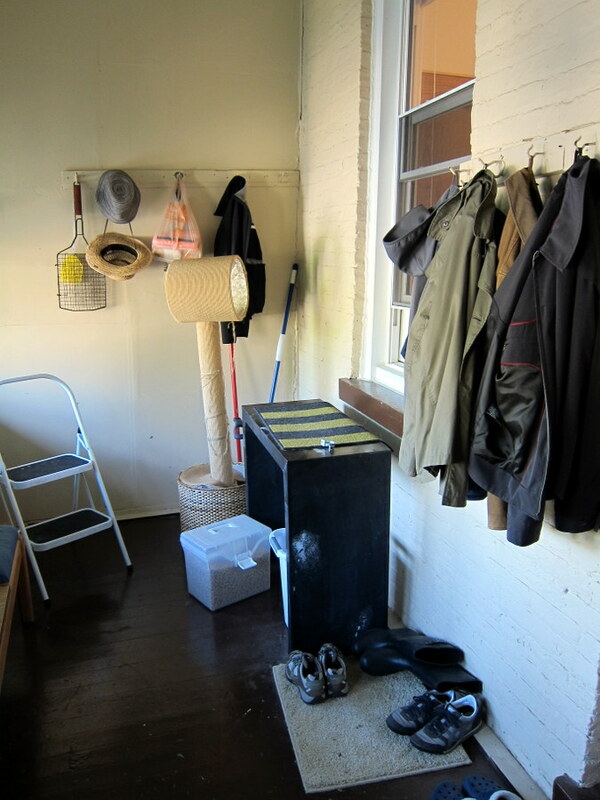 I cleared out the junk, painted the three walls white (I chose not to hassle with the brick just in case our landlords cared), and patched the hole in the wall left by our landlords (evidence that they really don’t care). 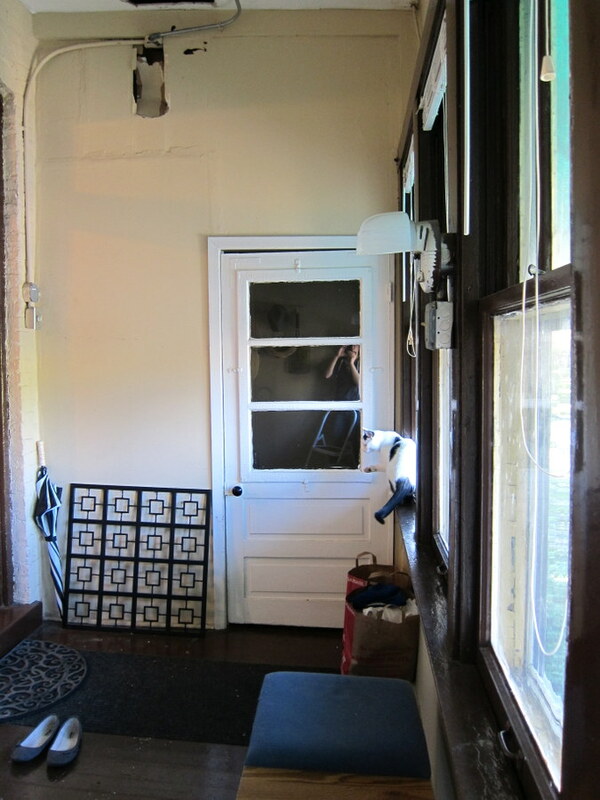 The after pictures don’t look too dramatic, but the space feels much, much better. Cleaner, spacious, less fleshy. Other than bringing up the storage trunk and the rug from our basement, the biggest change I made was some cat… furniture? fittings? I have no idea what to call it. Cat stuff. I added shelves for Doozy, as he likes to perch gargoyle-style, lording over us. 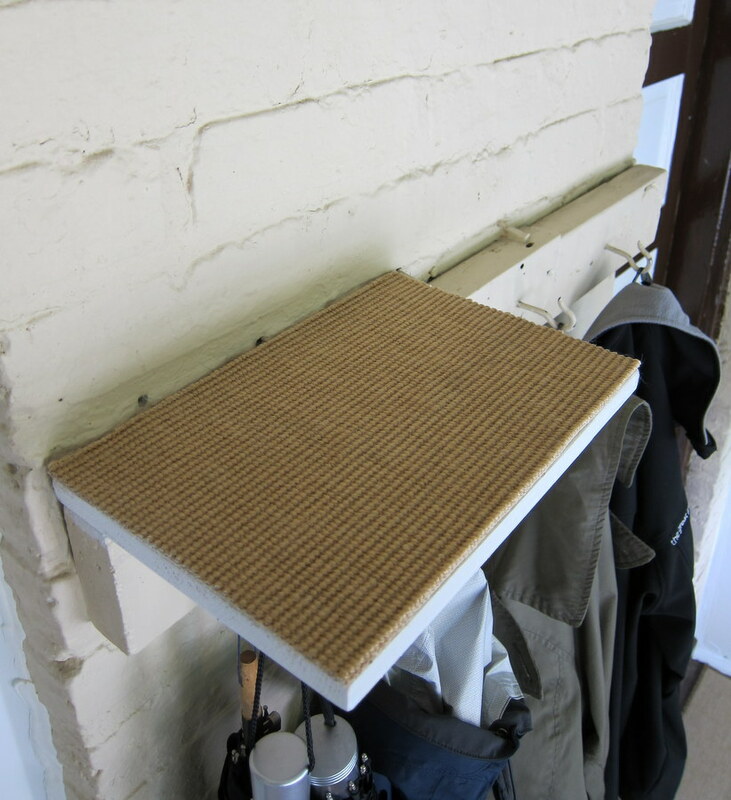 I cut sisal rug remnants (leftover from the cat tree I built) to fit the shelves and glued them in place. 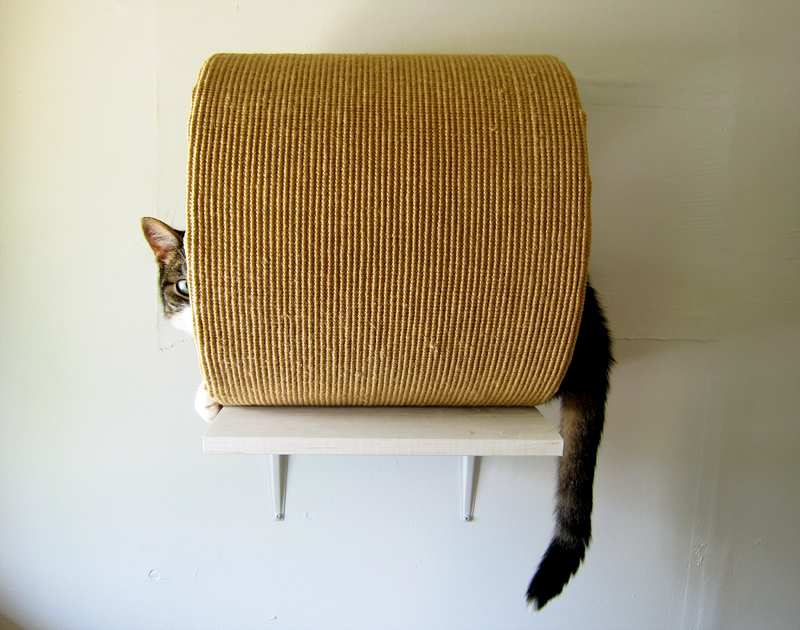 Lola’s favorite perch is the tunnel of the cat tree, so I dismantled that piece (made from a section of Quikrete Quik-Tube) and repurposed it. Lola resented my meddling. 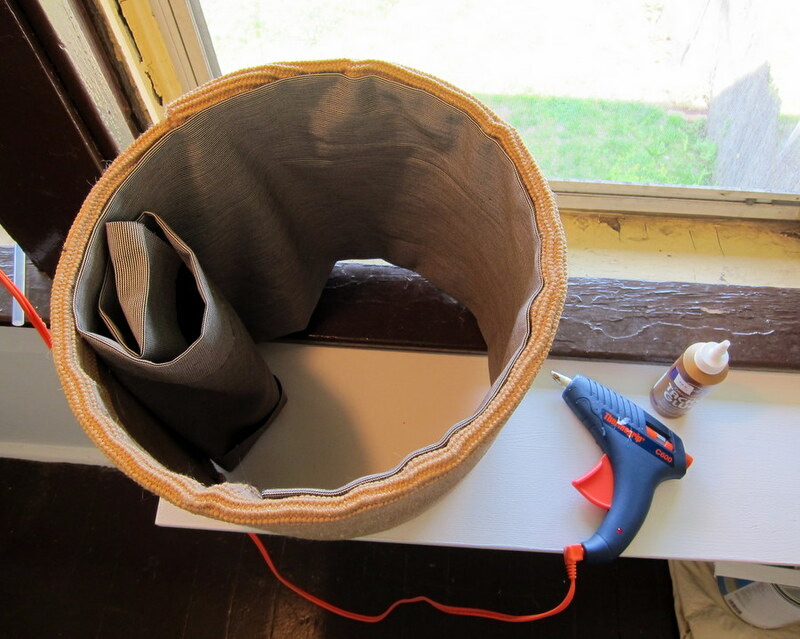 I reupholstered the fabric lining and mounted the tunnel to a shelf where he can look out the window. 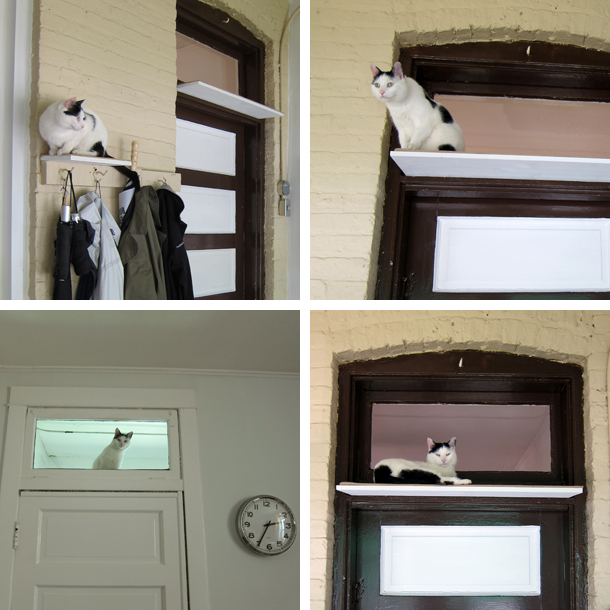 The cats seem to enjoy with the improvements – as much as cats ever demonstrate emotions, of course. 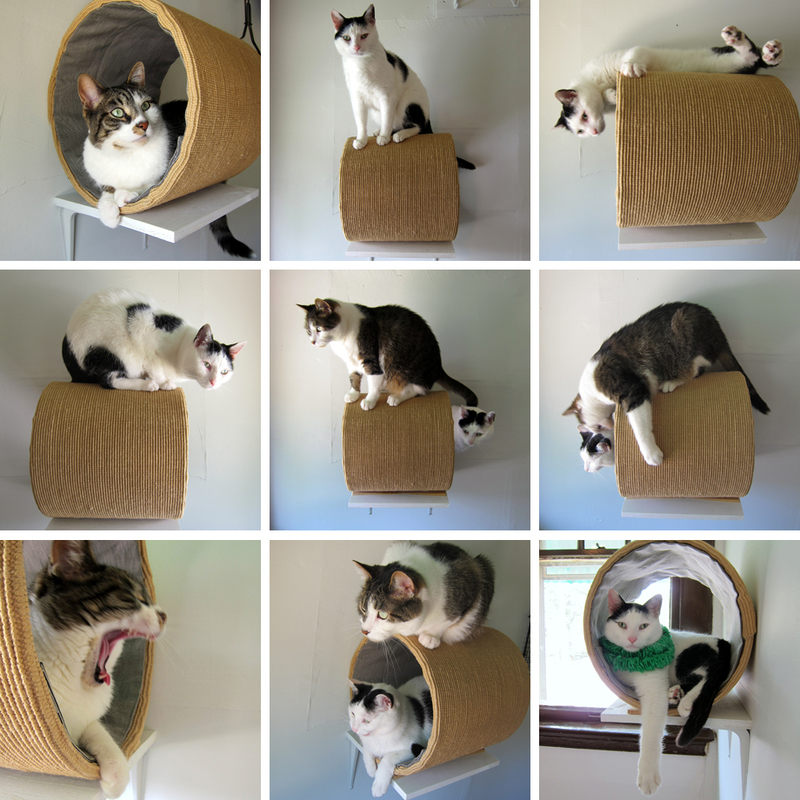 Gratuitous cat collage!